Back in the mists of time, around a decade ago, there was a plan for an ever-expanding online collection of short critical essays on key works of the fantastic. The plan fizzled and died, but not before I wrote nine pieces for it (which I just found). This is another of them. provides the key to space travel. 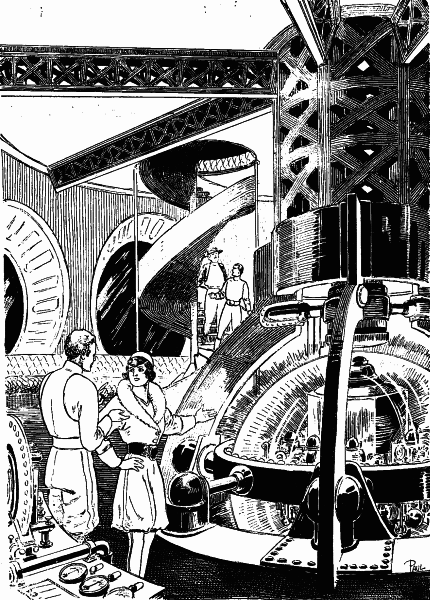 Seaton and his millionaire chum, M Reynolds Crane, set out to exploit this source of virtually free energy. An attempt by rival scientist, Marc ‘Blackie’ DuQuesne, to hold Seaton’s wealthy fiancée, Dorothy Vaneman, ransom in exchange for X goes awry. DuQuesne’s starship is flung across space at an incredible speed. Seaton and Crane pursue them in the eponymous starship. They rescue Dorothy, DuQuesne and another hostage, Margaret Spencer, from the grip of a dead star. On the low-gravity planet Osnome, they take sides in (and win) a genocidal war, before returning to Earth. 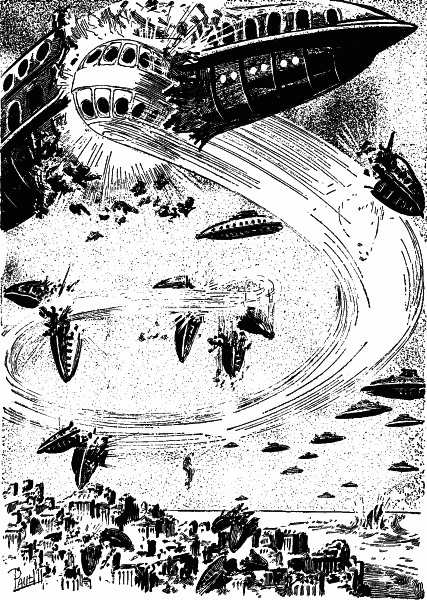 Smith was neither the first to write space opera (Robert W Cole’s 1900 The Struggle for Empire is a more likely contender), nor the first American author of space opera (that distinction probably belongs to Ray Cummings), nor indeed the best of the subgenre’s first flourishing in the American pulps (Edmond Hamilton, John W Campbell, Jr and Jack Williamson consistently wrote less infelicitous prose and demonstrated a better grasp of the potential of sf). 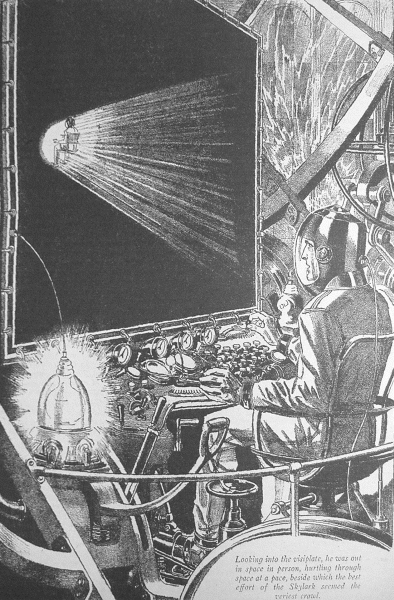 But Smith’s work remains the best-remembered. 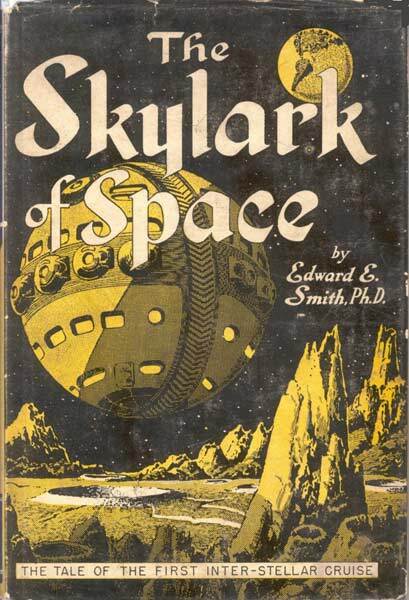 Undoubtedly, this is partly a result of being among the first pulp sf to be reissued in hardback editions in the late 1940s and 1950s, and of the 1960s and 1970s paperback editions finding a substantial following among the fantasy readership created/uncovered by the US paperback editions of JRR Tolkien’s The Lord of the Rings. Although Smith’s space operas often seem excruciatingly naïve by the standards of more contemporary authors (Iain M Banks, Samuel R Delany, Colin Greenland, Ursula Le Guin, M John Harrison, Ken MacLeod, Alastair Reynolds), the continued popularity of the Star Wars movies indicates that juvenile sf of this sort is still attractive; and while it is tempting to read Smith’s sf as camp, this can only partly (if, presumably, increasingly) account for its appeal. He can withstand higher acceleration than any of his crew, and exercises his super-strength to great effect in Osnome’s low gravity. yet strangely honourable in his villainy. And in a world dominated by global corporations, it falls to such individuals to discover, create, explore. Despite such unrealistic characterisations, the very familiarity of these types works to domesticate the universe in which they adventure. This bathetic descent contains and constrains the capacity of the sublime to disorientate and estrange. it is merely a convenient plot device, enabling Seaton to justify his collaboration with the fascistic social-Darwinist Kondalians against the treacherous Mardonalians (who ‘are the scum of the universe’ (120)). 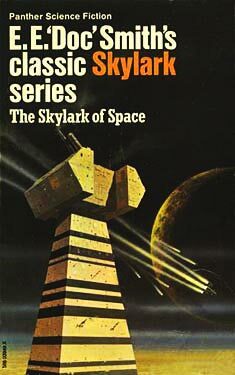 Again and again, The Skylark of Space promises novelty but delivers mere novelties. And herein must lie whatever appeal it has: there is no terrible abyss, just space waiting to be filled should anyone ever look out of the window. It is, of course, equally telling of Smith’s lack of interest in his female characters that not only should Margaret be so beautiful as to distract Crane but also so eminently reducible to a list of clichéd fragments. Elsewhere, she champs at the bit to be a secretary (92).